The problem is these companies are viewed as impenetrable, faceless monoliths. 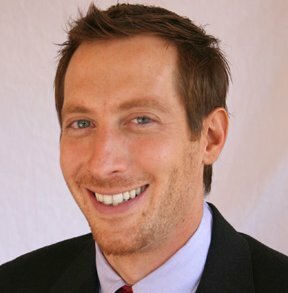 So insists Alex Alpert, Business Development Director at Wheaton World Wide Moving and joint re-Founder of remobilize.org (a new movement for relocation professionals that aims to create professional development workshops and networking events young professionals actually want to attend). He talks to Expat Marketing about why it’s important for companies to humanize their brands. Alex, where is the divide between young professionals and older expats? There are actually a couple different groups within that 24-40 age band. The clearest difference is of course the “millennials.” These are the kids finishing university right now. As a group they feel undervalued by business and yet they represent the future of every industry and must be engaged at all levels. That’s a feeling I usually associate with people outside the business world. What contributes to “millennials” feeling so undervalued professionally? We’re in a bust economy. Everyone is being squeezed. This means these younger people have a harder time managing their work-life balance. When additional work is required management piles it on the young people. A couple of years ago the company might have actually hired someone else to do the job. The problem is these young employees don’t really have time for the extra work. They are told to sacrifice their time and personal lives for the good of the company, but they look around–or more likely up at management–and see they’re the only ones making these sacrifices. They feel companies are taking advantage of them, that they’re powerless to change it. And of course companies benefit from this by cutting costs. What impact does this have on these professionals’ media consumption, or responses to specific campaigns? They look at companies that misuse or don’t use social tools and conclude, “this company is out of touch,” just like their employers might be out of touch with the reality of their own situation at work. So at the end of the day, if something smells, behaves, or thinks like the past young professionals will walk away from it. They want to innovate, not replicate. So in many cases competency with technology is their litmus test? This generation is much more integrated with technology and interconnected with phones. Multitasking with multiple devices at all times is a no brainer. Conventional wisdom tells us that it’s rude to be doing something on your phone while you’re sitting with someone, but that’s not an issue for this generation. Hence, one of the positives that have come out of the economic situation is the new breed of computer technology people who have learned to excel without traditional jobs and conventional behavior. For them all you need is a phone and an iPad. What can companies in “unpopular” industries do to improve their appeal? Humanize the brand. People don’t connect with logos, they connect with human emotions. If you’re one of these companies, you have to find a human quality people think is redeemable. You also have to communicate that directly with social media. How important is the perception of authenticity? Authenticity is the most important thing. We’ve been taught since we were little kids that when you stumble and fall down you have to get up right away and pretend nothing happened. Now that’s changed. It’s important to allow people to embrace who you really are, celebrating your failures and being humble about successes. How have you achieved this with remobilize.org? Can you give an example of a specific campaign? Social media without content simply doesn’t work. Once you have something to get out there, that’s when the magic happens. Most everyone has a video camera these days, but it’s an artform. We couldn’t have done it with out Mark West from Wyoming Films, who shot and edited the films and Abby Wilcox, who is our creative director. How will all this impact the way companies do business, or even are organized, in the future? Localization. Headquartered companies are like the British Empire, the old model where all the other offices report back up the chain to HQ. The new model is integrating together into one culture, with a constant dialogue between the local offices. This of course means companies will have to modify brands locally. Everyone wants local. What are your plans for Remobilize, in terms of promoting this new business culture? We are planning a global leadership summit in 2013 consisting of the brightest, most innovative young leaders, international business schools and relocation industry leaders. We want everyone to get remobilized, to learn more about themselves, each other and create a pipeline for the transfer of knowledge. Given the challenges we discussed earlier, are you optimistic about the future? Yes for sure. It only takes a spark for things to start happening. Posted in Social Media.Tagged Alex Alpert interview, expat marketing, marketing to young professionals, remobilize, remobilize.org, social media, social media campaigns, social media marketing, young professionals.